Nowadays, pet friendly lodging is plentiful. While hotels still take the lead in opening their doors to pets, pet friendly vacation homes, cabins and bed and breakfasts are quickly catching on. So, what travelers need to think about when taking to the road or sky with a pet in tow is what is right for their pet’s personality. 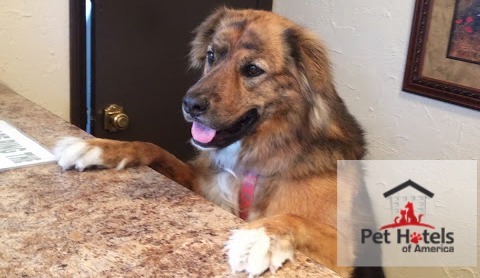 Pet friendly hotels definitely got a head start on any other pet friendly lodging and are way ahead of the others in realizing that pet perks and amenities that satisfy the necessities of pet owners must now be part of the travel package. Many have special programs. Some of the Ritz-Carlton’s have their Pooch Pet program, the Paris Las Vegas has its PetStay program and the JW Marriott Santa Monica Le Merigot in Santa Monica has its CLUB MEG program. Each goes the extra step to ensure that pets are welcomed and catered to much like their owners are. They’ve learned that the way to a pet parent’s heart is to treat their pet well. Most hotels charge a fee. Typically, those hotels that charge a cleaning fee are often those that don’t have designated rooms set aside only for pet travelers. Others place pet travelers on the first floor, which is usually because it is convenient for the pet owner. The North Shore is a five-star hotel and one of the most pet friendly of our listed dog friendly lodging establishments. They have designated four rooms for pet travelers that are gorgeous and every bit as nice as any room on other floors. This hotel is on Lake Gregory in Crestline, a small mountain town in the San Bernardino Mountains. You will find it listed on Vacation Pet Friendly by searching for hotels in Riverside, then checking the box that has five stars. But no matter how many pet perks a hotel offers, this type of dog friendly lodging is not for every pet. If you are planning on staying for any length of time, take the necessary steps to make sure your pet becomes familiar with the hotel. Play with her in the room, talk her on a tour of the grounds, and let guests show her some love and attention. Even humans have to adjust to their environment. Read this article about things to consider when searching for a pet friendly hotel. Vacation homes have stepped into the dog friendly lodging scene when the recession hit, as they needed to get their homes occupied. As it turns out, many will attest that pets actually are the perfect guests. Now, some pet friendly vacation home rentals you will find dog beds, feeding and watering bowls, toys and lots of extras to ensure you and your pet have what you need and feel right at home. Pet friendly cabins are the best form of dog friendly lodging because they typically are off the beaten path. Most being in the mountains give your dog room to roam and play outdoors. Larger dogs tend to really enjoy cabins for this reason. Plus, it really makes vacationing easy because you don’t have to take your pet out for walks as often. You will find less pet friendly bed and breakfasts than any other form of dog friendly lodging. The reason being is bed and breakfasts tend to be in homes that don’t have the sound-proofing that hotels do. If a dog barks, it could wake another patron of the facility. That said, there still are many bed and breakfasts that throughly enjoy having dogs around.